Is ACN a Scam – Though Donald Trump Endorses It, STAY AWAY! Do you have a story to tell? If yes, in this post I will explain how to make money at blogging that story from the comfort of your home. Because of the internet, anyone with information can now reach the world and at the same time monetize their blog to earn money. It does not matter if you are an established writer or not. Everyone who can communicate can be a blogger. When I first heard that name I remember saying that, I wanted to learn to be a blogger because I had information that I wanted to share with the online world. Fortunately for me and anyone else, being a blogger is just being able to take your thoughts and have the ability to communicate them in written form. Just like right now. I am sitting at my computer keyboard and typing out the story I am telling you so you can read it whenever you have the time. But Robert, I am not sure if I can be a blogger, my spelling and grammar is not perfect. Well guess what? Neither is mine. It may seem so after reading through the content on this website, but I use certain free writing tools that help me to spot mistakes in my writing and make corrections. It truly is a lot of fun to make money online in this way than many people think, and the more you do it the easier it gets. The reason I say this is a fun way to earn has to do with the fact that you can write about your hobbies, interests or passions and monetize what you are sharing. I’ll explain below. I first pick a topic I am interested in that I know many others are interested in too. This topic is known as a Niche, and when you blog about a niche you are passionate about, it will be easier for people to trust your opinions and even purchase your suggested promotions. The way I make money being a blogger is to write about something that really interests me. I then promote associated products that are already being sold on the market. You may be wondering, how can I earn money from products being sold on the internet already? I become a free partner of the companies that sell these products online. This partnership is known as an affiliate, or in some cases like with Amazon it is known as an associate. These companies will give me free advertisements of any product that they sell and I can freely monetize my blog with them. Example. You can blog about anything related to Star Trek and earn money from products being sold at the Star Trek Store. Or perhaps you are really into camping. You can promote products from L.L. Bean. Maybe you like sports or auto racing. You can become an affiliate of the NASCAR Superstore and get paid for promoting their products. The first thing you will want to do is a little research into the niche you have chosen for your blog or website. This can be easily accomplished by going up on Google and doing a search for your niche. I will use the example of a new niche, CBD Hemp Oil, I am starting up on another website of mine. I first do a search for the keyword CBD Hemp Oil in Google and then I look at all of the other websites currently online that are promoting this kind of product. This gives me good ideas in how I want to create my own unique website content. You do NOT want to copy another website, just get some ideas. Then I write out my content into different blogs and article pages, just like I do on this website in the MMO, Make Money Online niche. 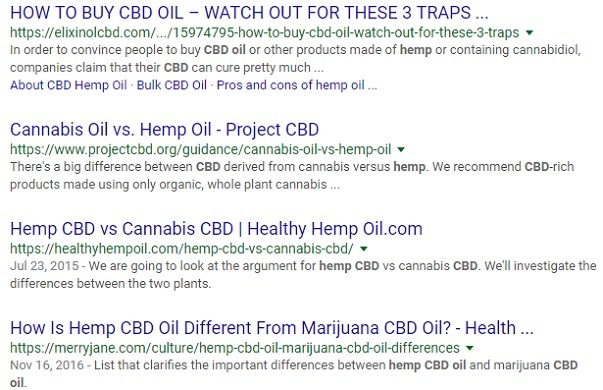 After I have a good amount of related content, I do another Google search for companies that sell CBD Hemp Oil that have affiliate programs. I apply to join their affiliate program and once they accept me I will get free access to all of their product advertisements and pictures. I place these ads in my different blogs and article pages. When someone comes to my blog, reads my content, clicks on the ad, and makes a purchase, the company I am affiliated with will pay me a commission. Drop Shipping is another way I make money by blogging. Like with the Affiliate Programs above, you do not have to own the physical products you are promoting on your website blog. But unlike Affiliate Programs this will require you to collect the money and initiate the shipping process with the supplier. However the nice thing about Drop Shipping is that you can make more money per sale, because you are selling at full retail but buying at full wholesale. It is important to state here that when it comes to doing REAL Drop Shipping, you will need to know how to avoid fake Drop Shipping scams. 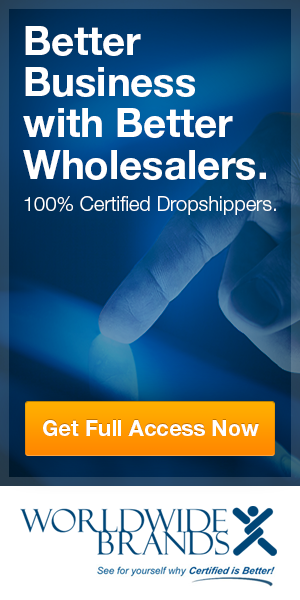 This is not hard to do and I explain what to look for and where to get the best products for the lowest wholesale prices in my blog Free Drop Shipping Wholesale Suppliers. Again, you can blog about something that interests you, place product ads in your blog, and have the purchases be done though PayPal or some other payment processor. Though being an affiliate of companies that sell products online I can promote, is my preferred choice of making money, having your own blog gives you other opportunities. Another easy way is to provide Google AdSense ads in your blog content. Based on what your blog content is about, Google will know from the Search Engine Optimization techniques you use, to give you relevant AdSense ads to display inside your blog. Let us say your blog is about WeatherTech products for pickup trucks. Google will give you ads related to pickup truck parts. Even though you may make more money displaying affiliate ads for WeatherTech products, the related Google AdSense ads can also help to generate income from people just clicking on them. I recommend that if you intend to monetize your blog with AdSense that it be in addition to another money making revenue stream. This option would be best as an added money making opportunity, unless you can land a big company willing to pay you big bucks for advertising their products on your blog. But before that can ever happen, you will need to establish yourself and your blog as an authority in whatever you are blogging about. 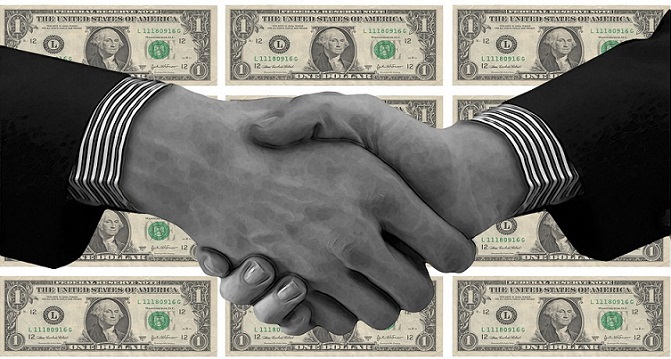 However you still can earn money selling space on your website to other relevant advertisers. If you have a blog about beauty products or vitamin supplements, you can approach small companies selling the same kinds of products and offer them space on your website for advertising. But before you take this approach you will want to make sure you are getting a good amount of traffic coming to your blogs and that you are established with high Google rankings. Having these two will make it easier for companies to want to advertise with you and for you to set the cost for advertising. Not every single blog on your website will be getting tons of traffic. For the ones that do, you can offer space on that blog for advertisers of similar products. The other areas you can offer for advertisements are in the footer and sidebar areas of the whole website, just like I do in the right sidebar of this website. This option will not produce results as quickly as the others mentioned above, but it is a great way to capture the email addresses of people you can send offers to in the future. One of the best ways to get people to leave you their email address is to offer them some free product in return. This free product could be an eBook from an Affiliate Program or a simple one you created yourself. It could be a link to another one of your niche websites, if you happen to have others, or it can be a discount coupon of sorts for products you actually own and sell on eBay or Amazon. 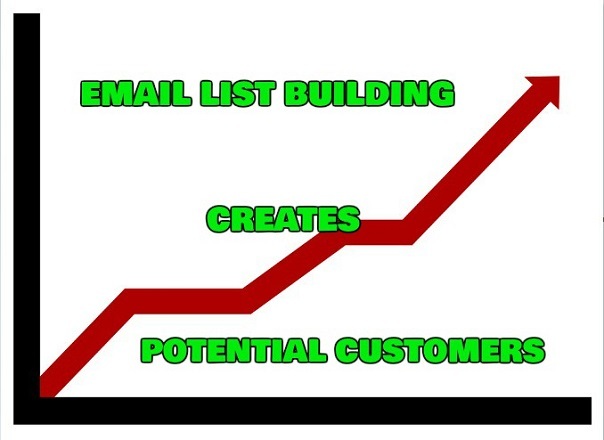 Building a list will help you to further your reach to potential customers who may not be avid followers of your blogs and could potentially buy from your other opportunities I have mentioned above. When you have your own website and blog, the potential for making money is almost endless. Where to start for $19.00 or even FREE? Having your own WordPress blog is free but every blogger who is serious about making money will have to spend some money to operate it. The trick is finding a place that will offer you EVERYTHING you will need for success and do so at a very affordable price. There is one place I have found and that I am a VERY SATISFIED member for the past four years, that does offer everything I mentioned above and a whole lot more for less than $50.00 per month. They do not charge you more money for more services, in fact they will even give you discounts and let you start for FREE! Where is this place? It is called Wealthy Affiliate, or WA for short. It is an all-inclusive training and online business building platform that will teach you how to make money by blogging about your interests and passions. 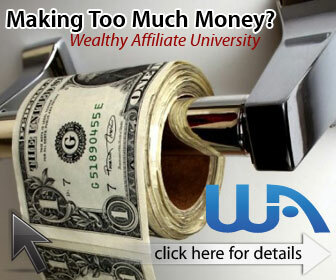 Wealthy Affiliate is an online university helping entrepreneurs for the past 12 years. The training at Wealthy Affiliate, WA, is the best and most up to date I have ever seen. They stay ahead of the curve by closely following what Google does to their search engine algorithms. Many of the old SEO tricks of the past that can hurt your website rankings today, are not taught at WA. They stay current in their training. I am very happy about this because anyone who blogs and has a website is always looking to get on the first page of the Google search results. Being a member of WA will teach you several ways to effectively achieve this goal and do so in ways that Google will reward your website blog with favorable rankings. When you get high rankings you get more traffic to your blogs. When you get more traffic you have the potential to make even more money. Wealthy Affiliate teaches you all of this, including other ways to market your blogs such as Social Media and Video Marketing, all for $49.00 per month. You will not find a better opportunity online or off that will give you so much, more than I even mentioned here, for such a low monthly cost. And just so you know they are legit, you can start your training of 10 lessons for free. No credit card information to join. Join me at WA and I will be glad to help you get started. If you have any questions, please leave them below for my reply. Robert — really useful article and thank you for summing this up in a really engaging way. I tend to lose track of all the options open to me as I build my site, and was rejected by Google AdSense – but maybe I need to try that again. I think that googling a niche of interest is a great idea, because it gives us “real time” info about the popularity — or lack of — of our intended niche. Plus, we also get to look at those sites to see how they are being promoted and what they look like. As a marketing pro, this is very helpful to me — I need to see the style and colors, format, etc, before designing a site, which gives me an idea of what works and what doesn’t. I am struggling with my affiliate links and I guess it is because I don’t yet have much traffic, but I will bookmark this post for reference, and some badly needed inspiration. Thank you! One of the problems many newbie affiliate marketers have is getting accepted by Google AdSense and getting conversions from their affiliate links. However this will not be a problem once your website has enough informative content in your chosen niche. Too often people want to start making money too soon with their websites. It takes time for Google to recognize you as an authority in your niche. This will only come about after you have created consistent quality content which will eventually raise your rankings. Learning how to make money at blogging your interests will require more of a passion to help people with the information you are providing through your content than it will be to sell through your links. Your content must build trust first and this will eventually bring you traffic through better search results. Patience and consistent content creation will help in both affiliate marketing and Google AdSense. Everyone will experience success at different times and at different levels, based on their work effort into building their website business, and it is a business. I have heard much about drop shipping, but have not taken the time to read up on it because it seems like more work than I want right now. However, after reading this post, I am intrigued. What percentage of drop shipping is a scam? Do you need to offer a lot of products? Also, I have seen Adsense ads on everyone’s blogs; do people really earn a decent income from this? Thank you for providing me with some interesting options for earning from my blog!! Thank you Irma. I am happy you liked my blog here and the ways one can make money with their blog. Drop shipping can be a bit more work for some, especially when compared to affiliate marketing. But when dealing with drop shipping you need to be careful not to get scammed. If you are interested, I explain the simple ways to spot drop shipping scammers and how to effectively do it on my blog about Free Drop Shipping Wholesale Suppliers. People can make money from AdSense and sometimes quite a bit, depending on the amount of traffic they have coming to their website. Though it will be hard to make a lot of money at first, as time goes by and more people start reading their blogs, bloggers with AdSense can see a rise in their earnings. Hello, Robert. I have read with great interest your post, and I find it extremely enlightening. I do blog, and I do have a website, but I’ve just started out and I’m still learning the ropes as I go along. It is thanks to people like you who write about the endless possibilities of monetizing a blog that I can use to widen my horizons into a world, which was, ’til a while ago, so distant, and resembled a vague dream. Through your pointers, it seems possible that such a vague dream can actually become a reality, and I can only thank you for taking the time to write such an informative post. Some of the ways you mentioned, like ‘Drop Shipping’ and ‘Adsense’, are so far alien to me, but I’ll follow your blogs and look forward to learning more of what you have kindly offered. You are welcome James. There are so many ways ordinary people from all walks of life can make money with their own blog and I give many examples of how in this post and all throughout this website. Though there are far more ways one can learn how to make money at blogging, the 5 ways I list in this post are the easiest ways I have personally experienced in both trying and actually earning money from. But once any person who learns the proper way to blog and get their blogs to rank highly in Google by using keyword research and SEO, which can be effectively learned at Wealthy Affiliate, writing engaging content becomes both easier and fun. You gave a great summary of blogging and money generating avenues. Content is king, and people need to realize that there is no get rich quick…you have to put in the time, create content and get traffic. That is the only way to make money online. You will get out of your blog biz what you put in. If you treat it like a hobby, an hour here and there, you will not be making money. If you invest time and effort, you will begin to make money…just like a job! That is EXACTLY what I tell people that ask me how soon will they make money with their blog if they work on it an hour or two per day. Running your own blog is no different than running your own business. You get out of it from what you put into it. Nothing of any value will happen in a short period of time without effort. I know for me it was the desire to start an online business by sharing the knowledge I know and then monetizing my blog with advertisements of related products. Because I was blogging about something I enjoyed made it easier to write content, especially after understanding how with the training I received from Wealthy Affiliate. I really like what you write here. To write blogs on things I am interested is great fun. My problem sometimes is due to not being grown up with the English language but still, like to write in English to reach most possible people. The idea of writing a lot of content and blogs before applying to affiliate programs is a good tip too. I was refused quite a few times when my site still was very poor. A really great tip is to join WA, the Wealthy Affiliate program. I work with this program since quite some time and am very pleased and had no reason so far to look for something else. Thank you for your comment Stefan. When people blog about topics that they enjoy and also know much about, writing content for their blog will be far more enjoyable. I can understand that you may find it problematic writing in English, and I applaud you for trying, but remember that you can always do a blog in your native language. 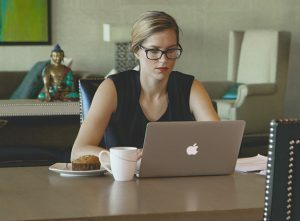 I agree with you on the using of the Wealthy Affiliate program is the best opportunity for learning how to effectively blog, using keywords and SEO techniques, while also learning how to build a website. There are many reasons why I like WA but I would have to say the number one reason is how much training and help is available for such a low monthly price. Robert, Very informative article. I have tried my hand in affiliate marketing with no success but your drop shipping method seems to be something I could apply. My site does not have much traffic yet so I don’t think I am quite ready for any of the methods you state. Should I be focusing on building traffic to my site before I apply the drop ship, ad-sense or selling advertising space? Based on your directions I should probably shoot for the drop ship method first but how much traffic will I need to make it an effective campaign? Is there a way to numerate how much traffic I have before I start drop shipping? 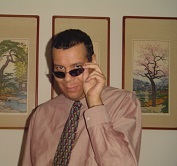 My sites are pretty new , one is for accounting while the other is a non profit for kids/teens. I don’t really like to write so if you have any ideas on how to create quality content through other sources, it would be great. Lot’s of questions but you have awakened my interest in this area. Thank you. Thank you for your comment Luis and the answers to your questions are below. As with any money making endeavor you seek to do with your website and blog, traffic is the most important aspect that is going to help you earn money. Without the traffic you will not earn money. That being said, the one sure fire way to get traffic without doing anything illegal that Google will bust you for, is to create content. You state that you do not like to write. That could be a major stumbling block for your online efforts because it is the content that will get you Google rankings, which will then lead to traffic. Even if you were to do the drop shipping method you would still need to create content. People are not going to buy from a website that does not offer informative content on what ever it is that they are looking to buy. As for which type of way to make money with your blog first, that choice is up to you. Affiliate programs and drop shipping are the two easiest ways but both require content to be created so that traffic can be gained. One thing you must remember. If your website is less than 6 months old and you are not spending time everyday to build it up with content, you will not get the traffic you need to be successful. Building traffic should be your number one priority. Google AdSense will deny your application if you do not have sufficient traffic and many affiliate programs will also deny your application. The best way to track and verify the amount of traffic you are getting is to register your website with Google Search Console and/or Google Analytics. Both will help you to determine how much traffic you are getting. Hey, very informative and useful article. Keep spreading your knowledge with us. Thank you. I am happy you enjoyed the information I have shared here in this post. I’m Robert. Welcome to my website! Do you want to discover a proven and easy way to make money at home, in an online business of your own choosing? Then I want to invite you to become a free member of an amazing training community of successful entrepreneurs. I encourage you to get started by reviewing the information on this website. Learn more on how you can get results in becoming your own boss with this easy to understand approach. Take action now for a brighter financial tomorrow. BE YOUR OWN BOSS NOW!